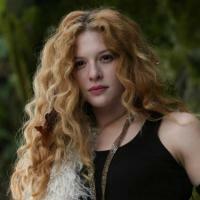 Brief about Rachelle Lefevre: By info that we know Rachelle Lefevre was born at 1979-02-01. And also Rachelle Lefevre is Canadian Actress. Some Rachelle Lefevre's quotes. Goto "Rachelle Lefevre's quotation" section for more. Dating and getting attention from boys was something that came later to me. I came from Canada, where it's freezing cold for seven months out of the year. I can't play a character that I am judging. I drink tons of water. It always sounds like the lamest thing, but there's a reason you keep hearing this over and over again. It really works. I go to various boot camps 4-5 times a week, and I try to get some Pilates in there to thin and tone. I volunteer with School on Wheels in Los Angeles, and I also tutor with Koreh L.A. I'm always looking to do things that are really different from each other. I'm just basically a workaholic. 'Twilight''s got some avid - and rabid - fans. Most actors will tell you that it takes a while to figure out what you want to be because we just want to do everything we see on TV and don't know that 'actor' is a job yet. The thing I love about vampires that I find so fascinating is that, unlike other sci-fi creations, they aren't monsters from the get-go, they're human beings first... and so what kind of human you are would dictate what kind of vampire you would be. There is no substitute for a real location when you're trying to shoot the jungle. You can't just go anywhere. You've got to go where it's lush and green and there really is those mountain ranges, the trees and the ocean.